Sugesstions for age appropriate tasks for children. 1. Take a child’s eye view. Get down to your child’s eye level to help him or her get organized. Look at your child’s space, storage, furniture and possessions from his or her　vantage point. The view may surprise you! Adult furniture and organizing systems don’t translate well to children’s needs. Sticky dresser drawers are hard for small hands to manage. Folding closet doors pinch fingers and jump their rails when pushed from the bottom. Closet hanging rods are out of reach, while adult hangers don’t fit smaller clothing. Traditional toy boxes　house a tangled jumble of mixed and scattered toy parts. To organize a child’s room,　solutions must fit the child. For younger children, remove closet doors entirely. Lower clothing rods and invest in child-sized hangers. Use floor-level open containers to hold toys, open plastic baskets to store socks and underwear. Devise a simple daily checklist for maintenance. 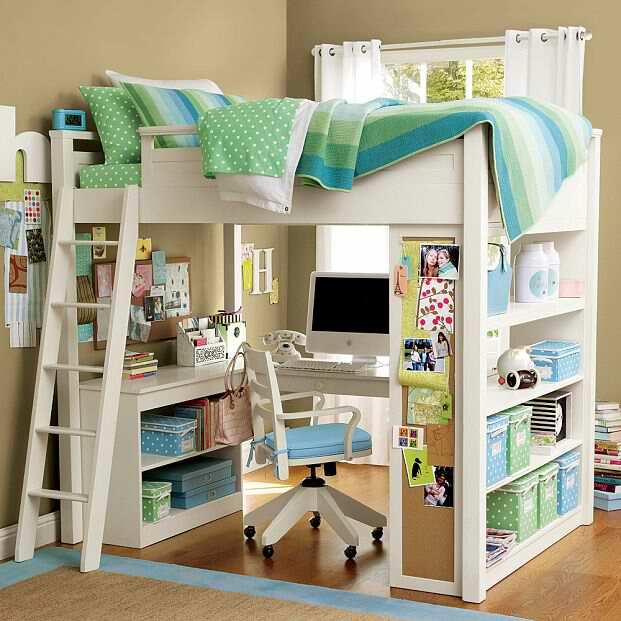 To organize a child’s room, tailor the effort to the child. 2. Bring the child into the process. Resist the urge to wade into the mess alone, garbage bags flying. Gritted teeth and threats of　“You will keep this room clean!” don’t touch the root of the problem:　teaching children organization skills and maintenance methods. Instead, look at the organization process as a learning activity, and put the focus on the child. I recommend that you view your role as that of organizational consultant to your child. As his or her guide,　survey what’s working, what’s not, what’s important to the child, what’s causing the problems, and why the child wants to get organized. Partnered with your child, you stand a better chance of devising an organization scheme and system that makes sense to him or her. If they’re involved in the effort, children are better able to understand the organizational logic and maintain the new, organized room. 3. Sort, store and simplify. It’s a conundrum! Children’s rooms are usually small, often shared, and generally lack built-in storage. Yet these rooms are host to out-of-season and outgrown clothing, surplus toys, and even　household overflow from other rooms. Kids can’t stay organized when the closet is crammed, the drawers are stuffed, and　playthings cover each square inch of carpet. The solution:　sort, store and simplify. Begin with clothing:　sort it out! Store out-of-season or outgrown clothing　elsewhere. Finally, simplify! Does your son really wear all 27 T-shirts crowding his drawer? Remove the extras so the remainder can stay neat and orderly in the available space. For younger children,　a toy library is the answer to over-abundant toys. Using a large lidded plastic storage container, large box or even plastic garbage bag, entrust a selection of toys to the “toy library.”　Store the container in an out-of-the way place for several months. Some rainy day, bring out the toy library, swapping the stored toys for other playthings that have lost their savor. The stored toys will have regained their interest and freshness–and they won’t have been underfoot in the child’s room. Older kids can utilize higher closet shelves to “store” some of their belongings. Clear plastic shoebox storage containers hold little pieces and identify the contents. 4. Contain, corral and control. Contain toys and other belongings before you store. Use plastic shoebox containers for smaller toys (Barbie clothes, Happy Meal give-aways), larger lidded bins for blocks, trucks and cars, light-weight cardboard records boxes for stuffed animals. Use specialty organizers to corral magazines and comic books, video games, or CDs and cassette tapes. 5. Make it easier to put away, harder to get out. The premier rule for efficient children’s storage? Make it easier to put something away than it is to get it out. For example, store picture books　as a flip-file,　standing upright in a plastic dishpan. The child flips through the books, makes his selection, and tosses the book in the front of the dishpan when he’s done. Compare a traditional bookcase, where　little fingers can pull down a whole shelf faster than they can replace one book. Build the effort into the getting out, not the putting away. 6. Organize bottom to top. Befitting a child’s shorter stature, start organizing from the bottom of the room, and work to the top. Most used toys and belongings should live on lower shelves, in lower drawers, or on the floor. Higher levels are designated for less-frequently-used possessions. Labels save the day! Use a computer printer to make simple graphic labels for young children. Pictures of socks, shirts, dolls or blocks help remind the child where these items belong. Enhance reading skills for older children by using large-type word labels. Slap labels everywhere:　inside and outside of drawers, on shelf edges and on the plastic shoebox storage containers that belong there, on boxes and bookcases and filing cubes. Playing “match the label” can be fun–and turns toy pickup into a game. 8. Build a maintenance routine. The usual peaks and valleys approach to room cleaning can vex and frustrate children. Their room is clean, they play, and suddenly, their room is back to messy normal. 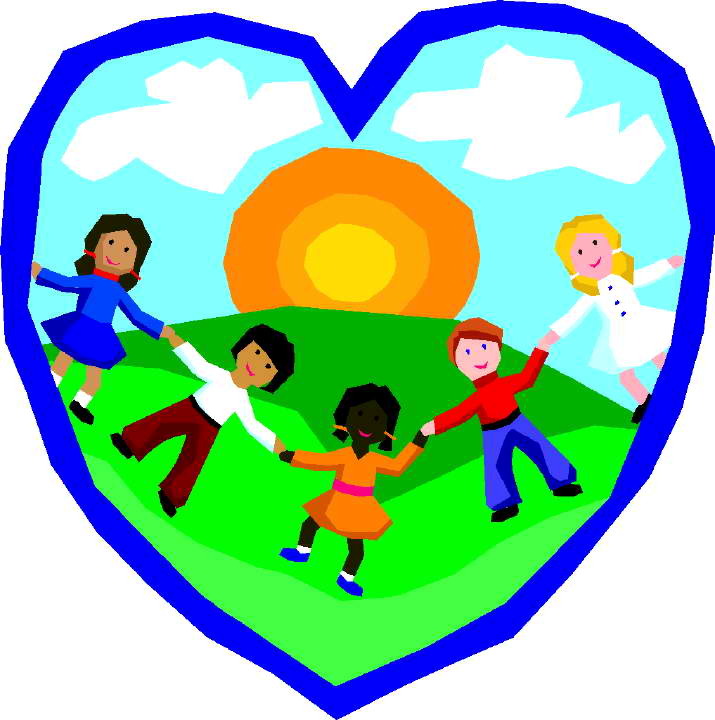 Help children stop the cycle by building maintenance routines into the family’s day. “Morning Pickup” straightens the comforter, returns the pillow to the bed, and gets yesterday’s clothing to the laundry hamper. “Evening Pickup” precedes dressing for bed, and involves putting away the day’s toys. There are so many options but these are just a few from various sources! I pray that these will help have much success! GTG…RR~! Types of Rewards for Your Children – There are several types of rewards you can give to your children for completing their chores. You can give them monetary incentives and non-monetary incentives as chores payment. You might also want to consider designing a ‘bank book’ for each portion of the allowance and tuck each into three separate coffee cans or money jars, and that way you and your child will be able to keep track of how much has been saved, how much has been spent, and how much of their allowance has gone to help someone else. Should you decide to use non-monetary incentives as chores payment, be sure you set clear parameters for your child. Be sure they understand that two hours each weekend of their favorite video game or going to see a movie with mom or dad is only earned by completing the chore list successfully each week. You might want to consider writing these on a slip of paper as ‘currency’ for the child to keep in their ‘privilege bank’ and they can cash it in with you when they’d like. Regardless of the method you choose, keep in mind this can be a valuable tool for both you and your child. So, be wise, be patient and be their best friend. Let him choose what to have for dinner one night. Take him to his favorite restaurant. Hit the grocery store together and let him pick out his favorite goodies. Let her invite a friend or two (or more) over for a sleepover. Let her pick one friend to take along when you go shopping, to the movies, bowling, etc. Let her talk/text on the phone or chat on the Internet a little longer than you usually allow. Let him stay up an hour past his regular bedtime. Give him an extra hour of TV, computer or video game time. Give him a break from his regular chores to hang out doing whatever he wants. Let your child select the activity — board game, bike ride, shopping, movies. Let your child pick the destination of the next family outing. If you have more than one child, plan an activity that doesn’t include the siblings for a change. The key to the perfect reward is knowing what your child really likes. If she likes fashion, take her shopping. If he loves cars, let him test-drive some at a nearby dealership. Go to a salon or a sporting event together. And offer praise. Children love to please their parents, so make sure they know how proud you are. The more personal the reward, the more appreciated it will be. For example, explain why clothing needs to be sorted by color prior to washing, and what is meant by loading the washer evenly. Nothing is too basic to explain. Remember not to talk down to your tween or teen – teach don’t lecture. Show your tween or teen that “vacuuming the family room” means vacuuming the carpet, removing the couch cushions to vacuum crumbs, putting the cushions back, then switching vacuum attachments for the woodwork. Show them where cleaning supplies are kept. 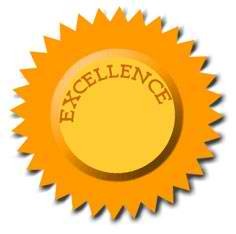 Compliment your tween or teen regularly and often to encourage ongoing great work. shouldn’t do chores, it does help to partly explain why they resist them. Another big reason is because children feel like they’re being taken away from something they’d like to do in order to do something that’s not exciting or stimulating. And most kids don’t solve that problem by using their time more efficiently to complete tasks quickly. Instead, you’ll see them showing disinterest and dragging their feet. I think it’s also important to understand that children don’t have the same value structure as adults. Most parents feel it’s their child’s responsibility to get their chores done, not only to help out around the house, but also to share in tasks and responsibilities as part of their role as members of the family. Certainly, kids understand on some level that they should do chores simply because they are part of the family. But as every parent knows, children have a difficult time relating that concept to action. then you have to get back on top of them, and the whole cycle repeats itself. 1) Stop the Show: I believe that parents really have to learn how to stop the show. What does this mean? If your child is not doing his chores, you simply stop everything, tell him to have a seat and talk to him about it. Ask him what he thinks is going on and what’s getting in his way of doing his assigned tasks. Find out what his plans are after he’s finished and try to motivate him toward getting the work done so he move onto what he really wants to do. Appealing to a child’s self-interests—rather than explaining the abstract concept of responsibility or duty—is generally much more effective for kids. get it done, they’ll gain something if they do. That kind of reward system is always preferable to one in which the kid loses something, because it’s more motivational and less punitive—you’re giving your child an incentive to do better. 3) Consider Giving Kids an Allowance: I think if parents are financially able to give kids an allowance, they should do it. Your child’s allowance should also be hooked into their chores—and to the times when your child fails to complete his tasks or has to be reminded to do them. So for example, if your child has to be told more than once to do his chore, he would lose a certain part of his allowance—let’s say a dollar. And each time you remind him, he loses another dollar. It is also appropriate to give that part of his allowance to a sibling who does the chore instead. This way, you’re not working on the chore, you’re working on the communications process, as well as your child’s motivation. games or any electronics go on, make it a rule that your child’s bed has to be made, his clothes should be in the hamper and his room is tidy. This way, he’s starting to learn that before he can have free time, his responsibilities have to be met. Again, you never want to be pulling your child back from something exciting in order to do something mundane and boring. Rather, you want to get them to work through the mundane and boring things to get to something exciting. Sometimes as a parent you have to ask yourself, if my child isn’t doing his chores, what is he doing? You really have to be aware of how your child is using his time. If he’s not doing his chores because he’s playing on the computer or reading a comic book, you’ve got to stop that pattern. The choice shouldn’t be “excitement or chore.” The choice should be “boredom or chore.” What I mean is that kids have to understand that they can’t go listen to music in their rooms or just hang out until their chores are finished. 5) Don’t Turn Chores into Punishment: I tell parents not to use chores as punishment. If somebody misbehaves and does something wrong, don’t give them a consequence of doing the dishes, for example. The only time that’s appropriate is if your child does something wrong to another sibling. And so in order to make amends—in order to right the wrong—they do that person’s chore for them. That’s a physical way of saying, “I was wrong to do that and I’m doing your chore to show you that I’m sincere.” That’s the only time when I advocate that parents use chores as something more than an assigned task. 6) Use a Reward System: It’s pretty simple: If you want kids to take responsibility for their chores, integrate their tasks with some reward system that has to do with allowance, as we mentioned, or in some other observable way. 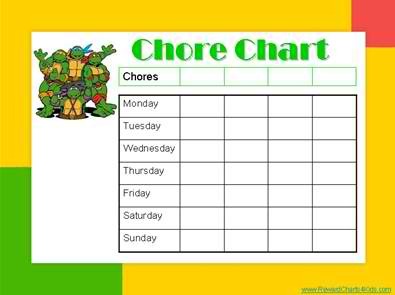 I recommend that parents have a chart on the refrigerator with each child’s name on it, with their chores listed next to their names. If they make their bed promptly and do it right, they get a check. When they get five checks, they get some reward. Maybe it’s staying up an hour later. Maybe it’s having more computer time one night. In my opinion, the computer, video games and television don’t have to be on every waking hour. Just because the computer is there doesn’t mean the child has to be using it—especially if your kids argue about it. Each child should get an hour of computer time, and then computer time is over. If they want more than that hour, they should have to earn it. This allows you to use computer time, TV time, and video game time as a reward. Of course, this doesn’t apply to schoolwork or projects that they have to do on the computer. Kids might understand that doing the dishes is part of their role in the family but they’re not going to feel it in some significant way. Chores are work, and in that sense very few of us like to work unless we’re getting rewarded for it. And the reward has to be something we like. If my boss had paid me in carrots I wouldn’t have worked much at all—because one or two carrots and I’m all set. Kids have the same motivating principle. They want a reward that’s in currency they like. The idea that they should learn to do chores for some abstract reason—like duty or responsibility—sounds good on paper, but has very little practical application in a child’s life. 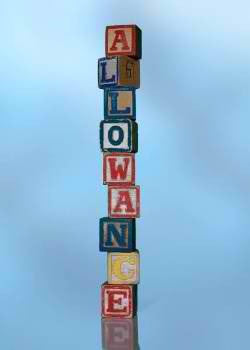 Allowance or not Allowence! That is a million dollar question and is totally up to each family! You must determine as a family, how the allowance will be earned, how the money will be distributed and how the money will be used. Everyone has different ideas as to how allowances should work. Here are some observations to help make decisions. 1.The path of least resistance is to give your child an allowance and expect nothing in return. Some parents feel that their child’s only job should be going to school and being a kid. Hence they receive an allowance without earning it. That can work but you will need to make sure they do some chores regardless and outside of allowance. Children growing up with no responsibility and no obligations tend to carry that attitude into their adult lives. Even if you firmly believe that a child’s life should only be filled with fun and education, you will still want to make sure they learn life is filled with responsibilities and everyone has them, with no exceptions. They also need to learn how to budget their money by saving some and spending the rest. 2. Some parents feel that nothing in this world is free and an allowance should not be either. The child is required to complete certain chores in order to earn their allowance. Very few children are not motivated by money. Motivation is a good course in the direction of accomplishments. Children who have their eye on a prize can ask the parents for possibility of earning extra money but completing additional chores. This method can help the parents by getting those odd jobs done around the house that are put off until last and can teach the child the value of a job well done. If they do the job well, they get paid. 3. Another option is the parent assigns each chore a specific amount of money. 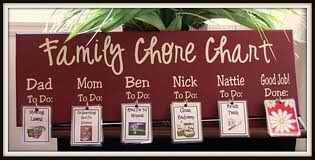 Then the child is allowed to choose the chores that they want to complete. The more chores they do the more money that they make. This method is similar to real life in that those who work harder and longer typically make more money. 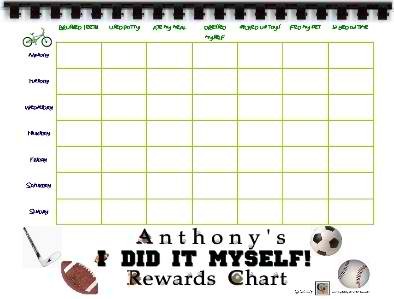 This method allows children to set goals and plan to achieve them. An important part of raising children is teaching them how to take care of themselves, their belongings, and their home environment. Although this can seem daunting to first-time or young parents, making a chore list for children is not that difficult, and doing so will help to remind both parents and children what the kids are supposed to do. Each family member should help around the house, beginning from the time when a child reaches the toddler stage. Even a two-year-old can pick up toys and run a dust mop under Mom’s careful eye. Having a specific chore list for children can promote a sense of responsibility and teach them to respect their things as well as those belonging to other people. 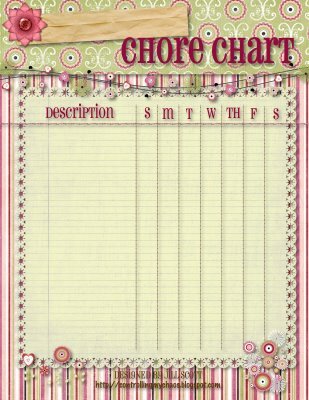 How do you create an appropriate chore list for children? 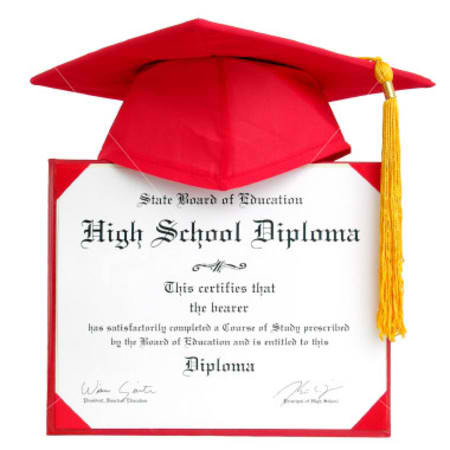 After all, how is a parent supposed to know what a child of any age is capable of doing? When is a chore list too demanding versus not demanding enough? The following 10 tips may be helpful as you prepare a chore list for children under your supervision. Most young parents have enough to worry about without the hassle of determining the chores their children are capable of doing. Rather than guess, a better idea would be is consult experts who know something about raising children and assigning responsibility by making a chore list. For children, there are plenty of how-to books on the market, especially when it comes to teaching them responsibility. Don’t overlook the insight of grandparents and other relatives who may have a few suggestions that can help to round out your chore list. The Internet is useful in finding age appropriate activities as well. For example, MyPreciousKid.com contains a number of articles on child safety products and ways to create age-appropriate chore charts. 2. Consider your child’s capabilities. While creating a chore list for children, even if it is age-appropriate based on research or relatives’ feedback, take into consideration your child’s abilities to carry out certain functions. 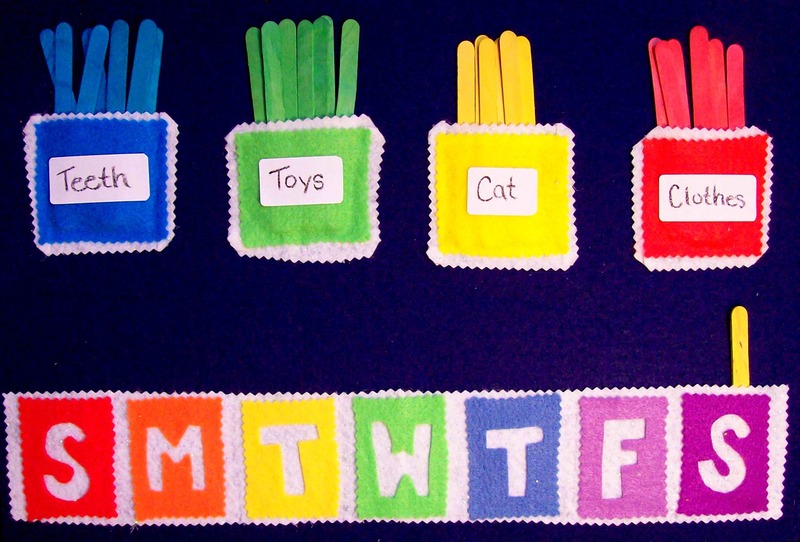 Be sure to start small and check to be sure your preschooler can manage one task before assigning another. Preschoolers ought to be able to pick up toys, wash their face and brush their teeth, and help entertain the baby for a few minutes until you finish an important task. Elementary school children can dust furniture, vacuum carpets, wash dishes (or load dishwashers), and care for pets (feeding, bathroom breaks). Many teens, as they mature, should be able to handle most household jobs, such as washing dishes, preparing food, managing laundry, and cleaning their rooms. 3. Factor in talent and skills. Whether your child is capable of doing a certain chore or not, think about his inclinations. For example, if your eight-year-old enjoys spending time with the indoor dog, you may want to teach him how to walk the dog for potty time, knowing that because your son likes being with the dog, he will likely do a good job. If your five-year-old likes to talk to an imaginary friend, have her chat with the baby in the playpen while you wash dishes, or talk to Grandma on the phone as you prepare dinner. These situations allow her to exercise a skill she enjoys. Manual dexterity, eye-hand coordination, and physical activity levels, among other skills, can play a role in the type of tasks you assign when making a chore list for children. 4. Add an element of interest. It doesn’t hurt to make some chores a little fun when teaching your child how to do them. One example is weeding the garden. Encourage your ten-year-old to do a good job while giving her a corner of the garden for her own flowers or vegetables. Then suggest she enter the best one to come out of her patch in the county fair. This will make the weeding more interesting and meaningful. Another approach would be to talk about some of the pests that can be seen while weeding, such as a potato bug or a tomato worm. Explain their origin and purpose will keep your child alert and engaged in the task at hand. 5. Fairly evaluate infractions and extras. If you have assigned your child the task of taking out trash at 4:55 p.m., right before dinner, and that time coincides with the last minute or two of a favorite television program, it may be worthwhile to give your son or daughter an extension of time so that the TV program can be finished first. If your son claims his brother isn’t doing a task correctly, check out the status yourself before taking sides and issuing a penalty. And if one of the kids takes it upon herself to do extra chores in hopes of a punishment reprieve (being “ungrounded, for example) or winning extra praise or allowance, be sure to set the record straight from the outset when making a chore list for children so that everyone knows the rules. 6. Rotate chores to teach new skills. Every three to six months, you may want to rotate your children’s chores so they don’t get bored doing the same thing over and over. You can graduate each child to next level of difficulty or complexity, or simply change the routine to add variety. If your son is used to raking grass after mowing the lawn, the next rotation might let him start bagging and carrying the clippings to the burn pile or the trash bin. If another child has been trained to clear the table after supper, try letting him load and unload the dishwasher, as well as wipe counters and the stovetop. If you offer an allowance, that will be incentive enough. If you don’t, you can use the chores for leverage to do other things, such as getting to see their friendsor go to the mall when they finish their housework first. Make chore-time a priority so they will understand its importance. 8. Graduate the chore list slowly. The day your daughter turns 11 does not necessarily mean she is ready and able to start managing the family’s laundry. Maybe she is, and maybe she isn’t, but you need to give her time to learn any new task, test her progress, and check to be sure she follows through. Don’t dump an entire new load of chores on her at once, or you may arouse her resentment. Let her do her own laundry first, and if that goes well, after a few months add a sibling’s laundry, and then later, the rest of the family, if she is open to it. Vacations, illness, and impromptu visits can interfere with a schedule’s normal operation. Give your kid a break if the situation warrants, knowing that you, too, sometimes fail to do things exactly on schedule each day. It’s a good idea to spot-check your child’s ability to handle a new task to be sure it is done correctly. This will help to prevent the development of a bad habit. 10. Get your child’s input. Give your child a choice of tasks. This will give him more of a sense of buy-in to the household routine as well as underscore the importance of his participation. Get in the habit of explaining your reason for assigning certain tasks so that kids learn how to do things correctly to please you and avoid punishment. Invite questions, have the child repeat back instructions to be sure he understands, and let your children know that you are available for help, if needed. Be prepared to listen if they suggest a better way of doing something, and give it a try, if possible. Don’t worry about making a chore list for children. After consulting the pros and a little hit or miss on your part, your child and you should be able to develop a task schedule that everyone can live with. All it takes is patience and cooperation, so be prepared to work with your kids to develop a chore list for children that can train and equip them for growth and maturity. 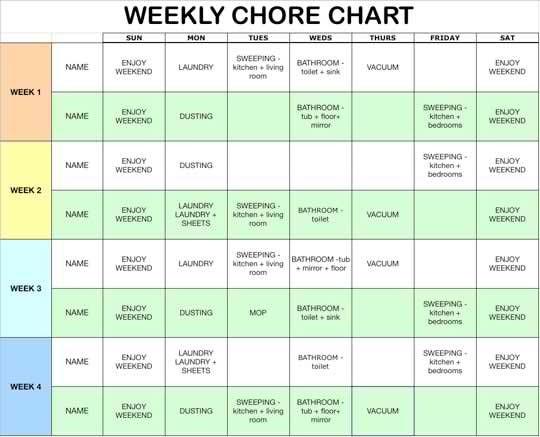 If you have been following my article I have give you Chore/Behavior Chart links….